These tall tapering lobes with their subtle rounded corners will add a nice contemporary feel to any space. 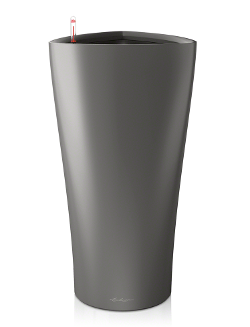 The 'Delta' planters are available in two sizes that cry out for bold floor standing planting. All Lechuza planters are made in Germany from strong injection moulded UV resistant plastic then painted with quality, high gloss or matt metallic look paint. As they are frost resistant this makes them suitable for most locations, inside or out. 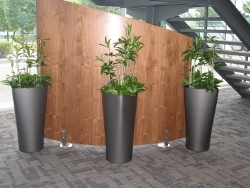 Delta planters are available in two sizes and the colours shown to the left.